Energy company requests evaluation of potential natural gas pad site as part of aquifer protection and regulatory closure project. Modern Geosciences was engaged by an energy company to assist in evaluating a potential natural gas pad site in Grand Prairie, Texas. As part of the evaluation, Modern completed traditional environmental due diligence efforts. This included a Phase II site investigation to confirm an off-site chlorinated solvent release was impacting the shallow aquifer that would need to be disturbed to complete the proposed deep natural gas wells. Modern coordinated discussions with the Railroad Commission, Texas Commission on Environmental Quality (TCEQ) and the City of Grand Prairie concerning casing requirements in light of the shallow aquifer impact. Additional casing measures were set for all wells to ensure the shallow impact would not be carried to two viable deep aquifers. 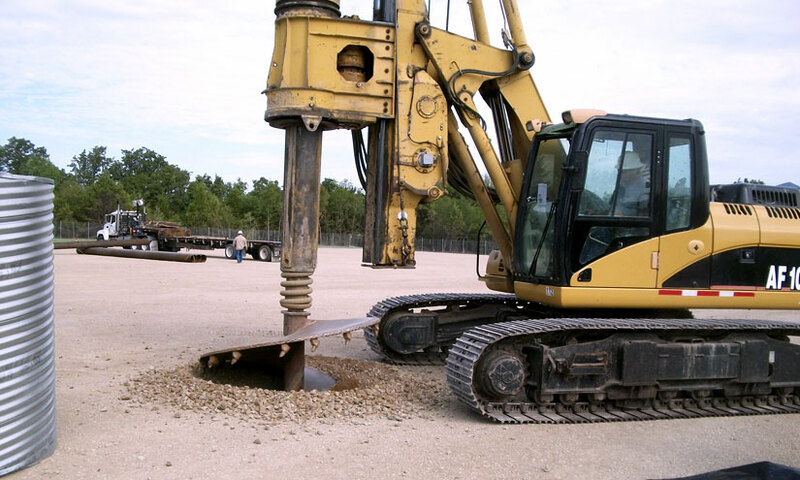 All shallow operations were monitored in the field and completed under a soil and groundwater management plan with cuttings from the casing installation characterized and disposed at a permitted landfill. Additionally, Modern was able to use the project documentation to obtain Innocent Owner/Operator protection from the TCEQ concerning the chlorinated release. Following system start up, Modern has continued to perform quarterly inspections and air quality monitoring on the operational pad site.